This model of governance will hopefully provide Mumbai with the coordination and transparency that is needed to ensure its growth and development as the ‘maximum city’. Mr. Deora urges all Mumbaikars to write to their elected representatives, across all political parties, to provide impetus to this idea. Mr. Deora expressed his happiness on the passing of the Food Security Bill on 26th August 2013 and attributed it to our democracy where EVERY person counts. Praising it, he said, “The Food Security Bill legally binds the state towards ensuring that NO Indian goes hungry or malnourished. Why should anyone oppose it?” The bill aims to provide subsidized food grains to around 67 percent of India’s 1.2 billion people. 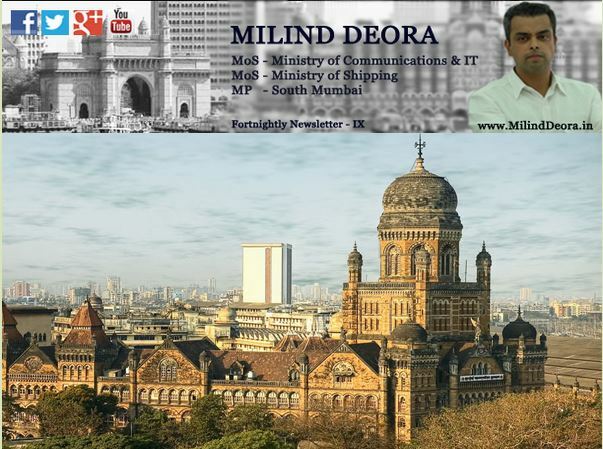 The DoT, a part of the Ministry of Communications and IT of which Mr. Deora is the Minister of State, has laid down new rules to be followed by mobile phone manufacturers from 1st September 2013 onwards. 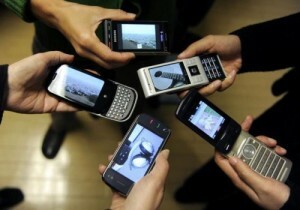 As per the new rules, the radiation emitted from a mobile phone should not be more than 1.6 watts per six minutes of usage. All companies will have to strictly abide by the new rules. These norms were developed due to concerns raised over the health hazards posed by mobile radiation. On 1st September 2013, Mr. Milind Deora organized a free medical camp in the Worli Municipal School. He expressed his gratitude to Dr. Pandit and his team from Gurukrupa Hospital for all their help. 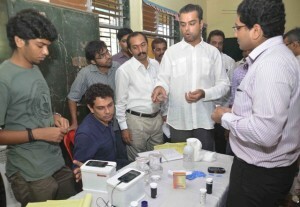 A mobile x-ray lab was set up in a classroom and interestingly pathology tests were performed on mobile phones! The RTI Act has been a powerful tool for fighting corruption. Mr. Deora feels that it would be undemocratic to amend it without hearing the concerns of citizens. The amendment to the RTI Act 2005, which proposes that political parties be excluded from the ambit of the Act, was deferred due to lack of consensus in the parliament. A general impression has been created that the proposed Amendment Bill will dilute certain provisions of Act of 2005. Mr. Deora, an advocator for more transparency and greater accountability in governance, believes that the move to refer the Bill to a Parliamentary Standing Committee is an appropriate one. 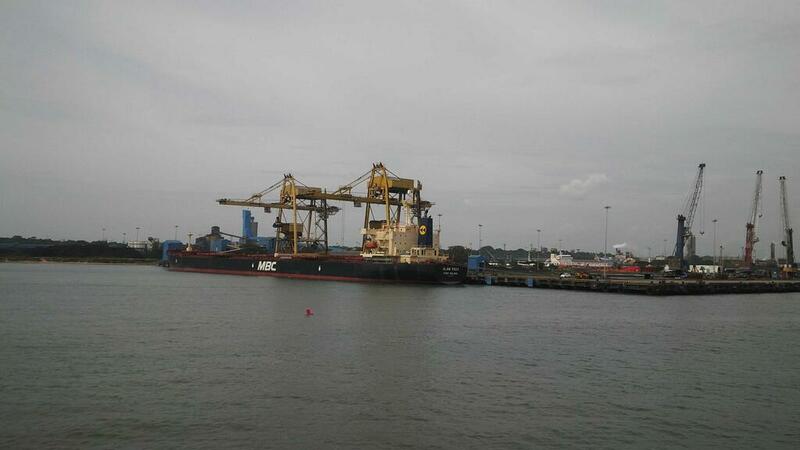 Mr Deora on 9th September 2013 arrived at Mangalore to review the operations of the New Mangalore Port Trust, Karnataka’s only Major Port. When Indira Gandhi inaugurated NMPT in 1975, it handled less than 1 lakh tonnes of cargo annually. 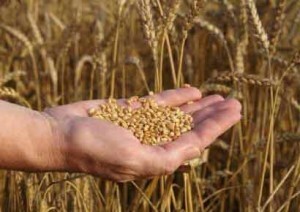 Today, it handles over 37 million tonnes annually. NMPT imports crude oil and coal for nearby refineries and power plants and it also exports petroleum products. 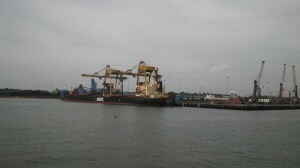 NMPT is India’s largest LPG port and highest coffee exporting port. Additionally, it receives around 10,000 tourists from cruise ships a year. Mr Deora and his wife Pooja Shetty Deora, who is a native of Mangalore, also celebrated Ganesh Chaturthi with the NMPT Dock Laborers.